Baku - De Beers, The Jeweller of Light, has opened its first store in the capital of Azerbaijan. Located by the main waterfront, this beautiful location is the city's premier shopping destination. The Baku store will be operated by PNN Group, who has a strong presence in the region, in luxury retail and jewellery. With this new store, De Beers brings 125 years of peerless diamond expertise and passion to the vibrant city of Baku. The new space features De Beers' unique store design concept of glass and light, where clients are invited to discover the natural beauty and timeless mystique of diamonds. De Beers' wondrous creations come to life in this setting, including stunning solitaires, timeless classics and unique High Jewellery creations. François Delage, CEO of De Beers Diamonds Jewellers explains, "We welcome our Azeri clients in our stores around the world, and we are now delighted to be able to serve them in Azerbaijan. After our opening in Almaty in 2011 this is a key development in building our brand in this important region. We look forward to working with the PNN Group; their expertise in jewellery retail in Azerbaijan makes them the perfect partners for De Beers." 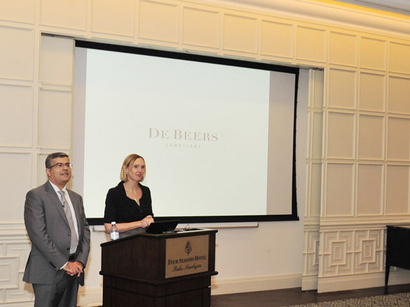 Mr. Nasib Piriyeb, CEO of PNN Group commented, "We are proud to launch De Beers in Baku. 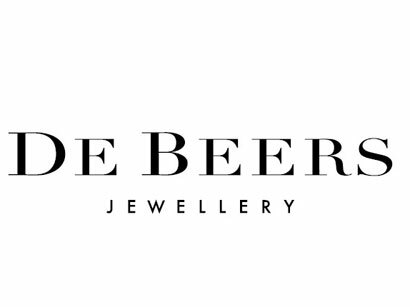 De Beers are the diamond jewellery specialists, and we are pleased to be able to share their exceptional passion and expertise in diamond selection, craftsmanship and diamond jewellery design with this new market." Every De Beers diamond is meticulously hand-selected for beauty to ensure that it has exceptional Fire, Life and Brilliance. To help showcase this, each De Beers store is equipped with a De Beers Iris, a unique technology that helps customers clearly see the beauty of every diamond through the eyes of an expert. De Beers has a worldwide presence with stores located in the most sought after locations including Old Bond Street in London, Fifth Avenue in New York, Printemps and Galeries Lafayette in Paris, Shin Kong Place in Beijing, IFC in Shanghai, The Landmark in Hong Kong, and Ginza in Tokyo. De Beers Diamond Jewellers was established in 2001 as an independently managed and operated joint venture, bringing the luxury retail and branding expertise from LVMH Moët Hennessy Louis Vuitton, the world's leading luxury products group, and De Beers SA, the world's premier diamond company.